have you guys seen this guy's post on Reddit? His post went viral and became the most popular submission on Battlestations. 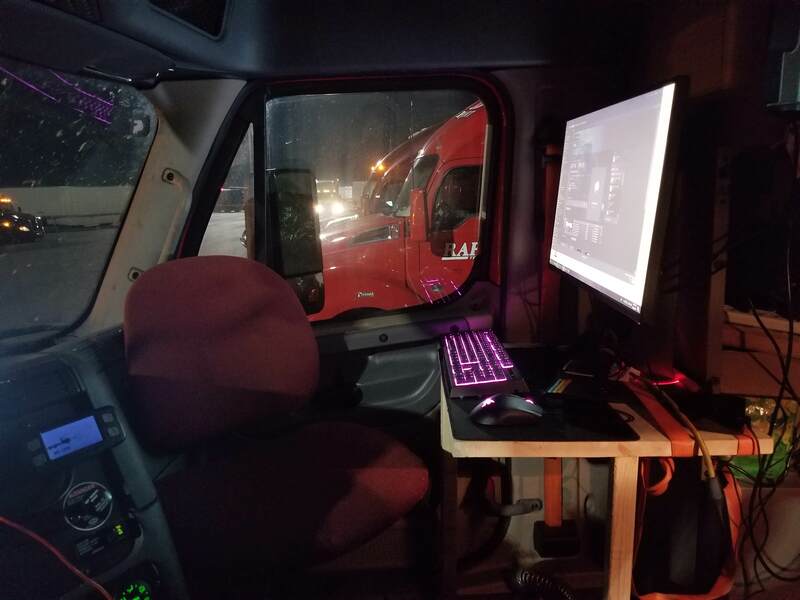 Instead of upgrading the truck parts, he decided to put a gaming PC in his rig. He said he did it to deal with the isolation of the open road.